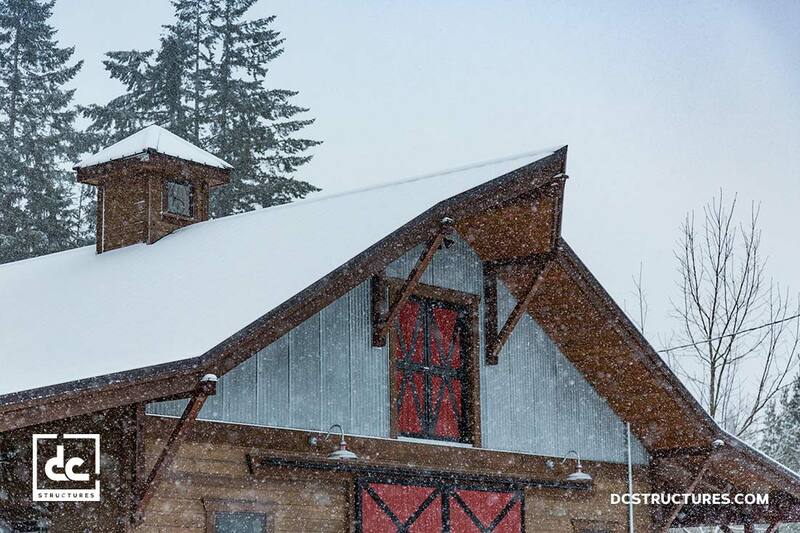 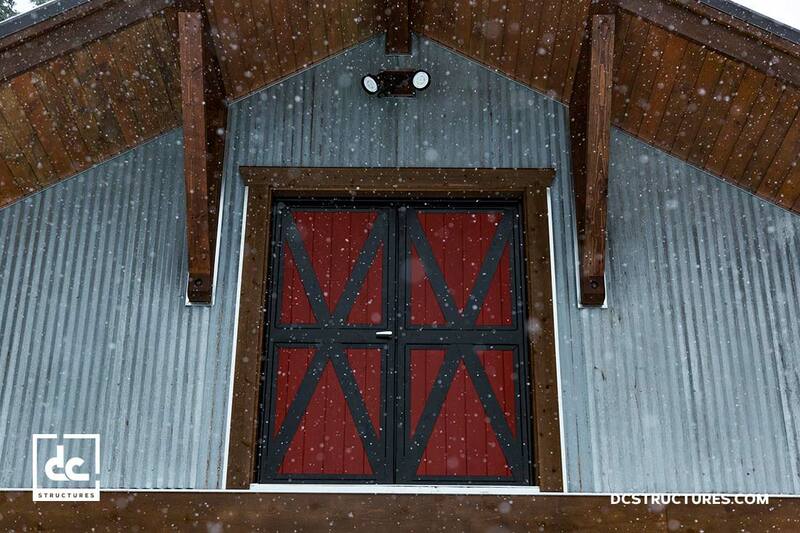 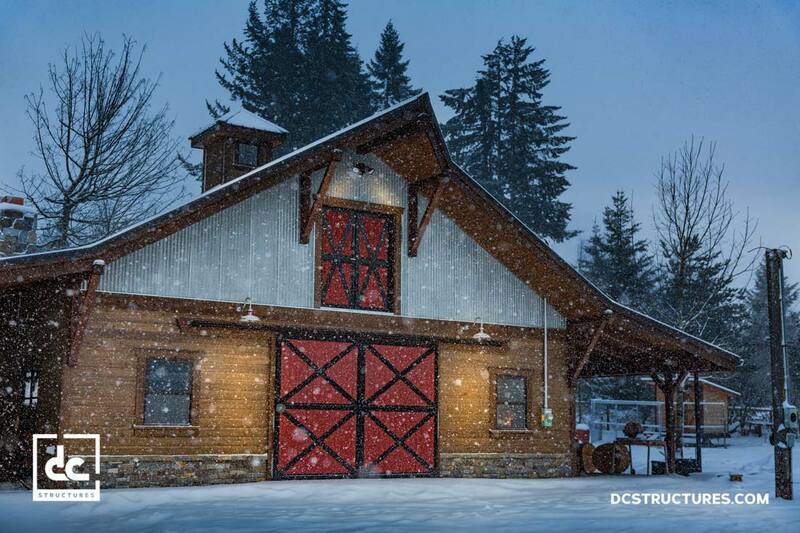 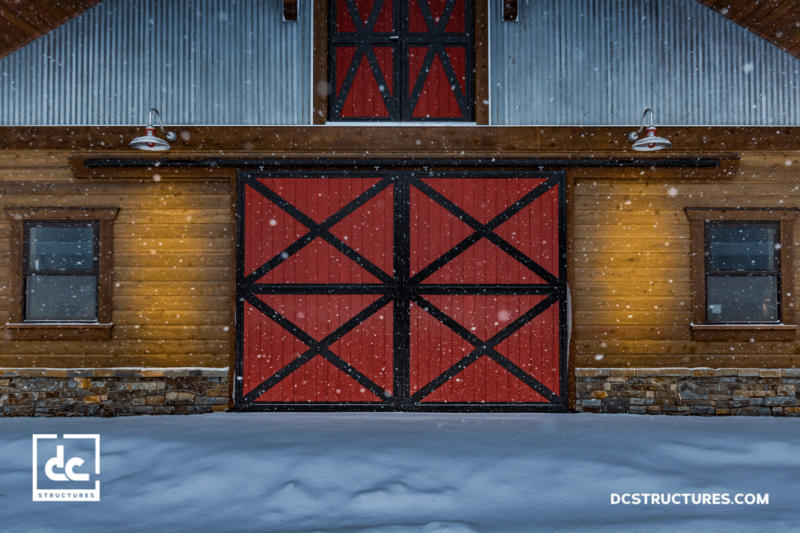 This beautiful gable-style horse barn was contructed from a DC Structures Columbia Barn Kit. 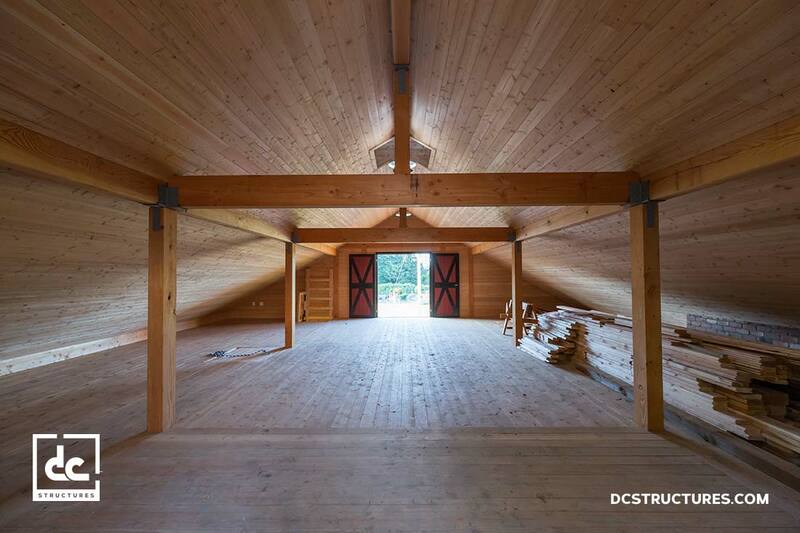 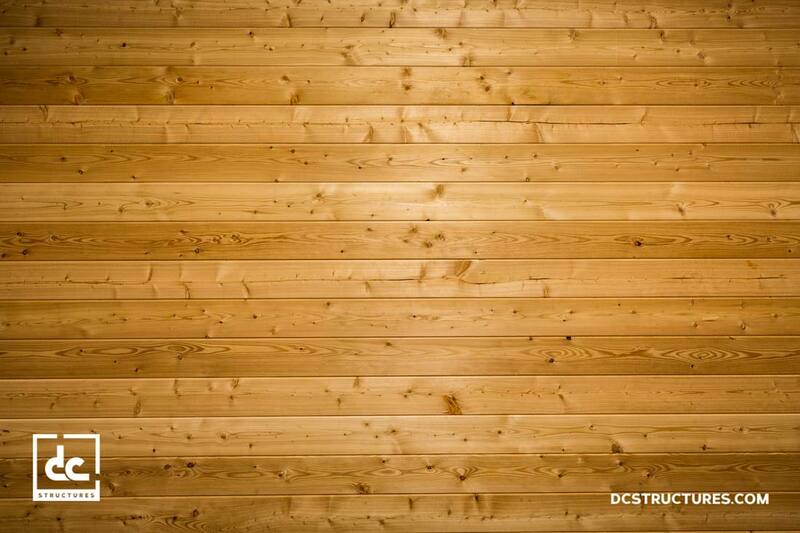 The 38′ x 40′ post and beam structure features an open main level with two stables and Classic Equine Barn Front Doors. 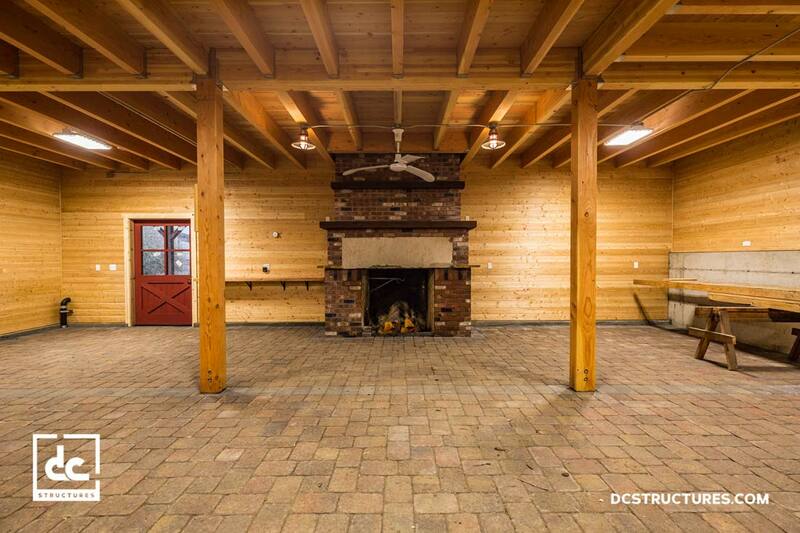 The main level also features a large custom fireplace that can be used to heat the inside, or enjoyed outside underneath a 856 square foot covered shed roof. 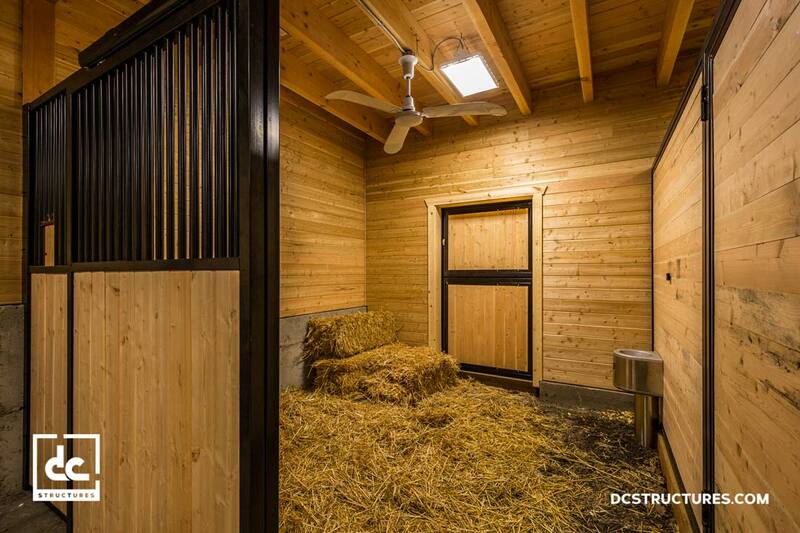 In the back of the barn you’ll find a staircase leading to a spacious hayloft on the second level of the barn, which can also be accessed through a trap door inside. 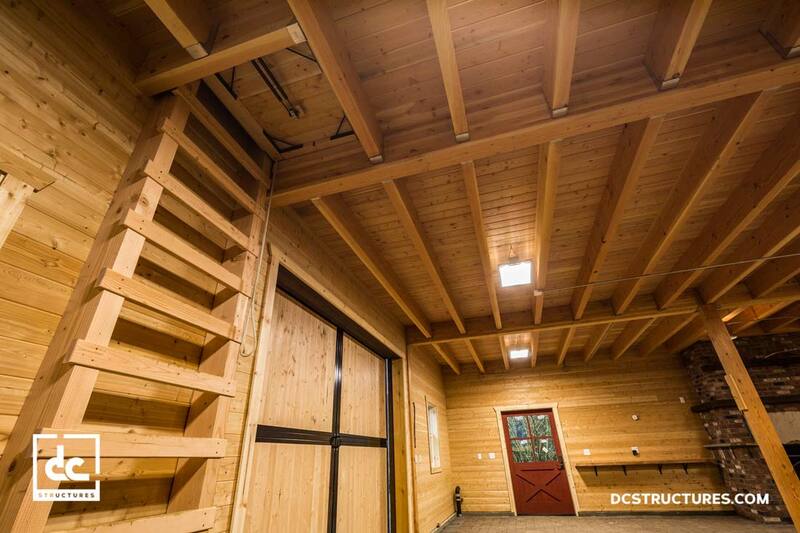 With 1,546 square feet of functional space there’s plenty of room for both storage and work. 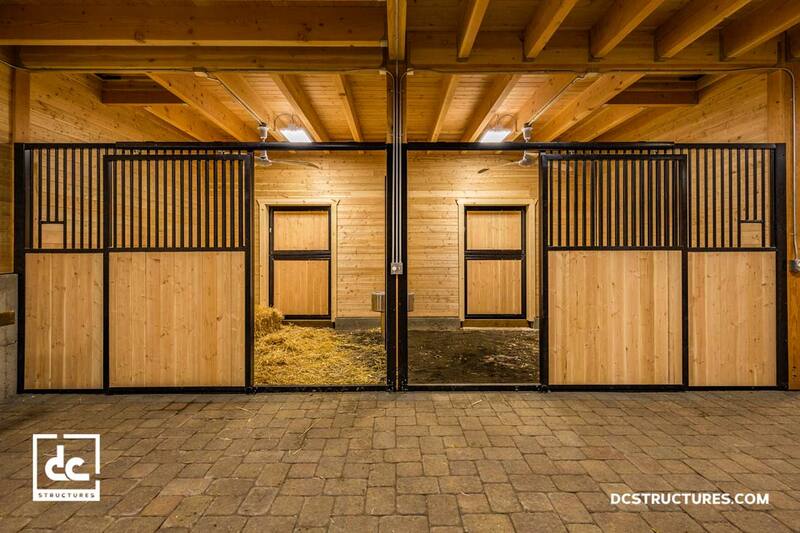 Steel framed hayloft doors open on the other side of the barn, making tending to your horses even easier. 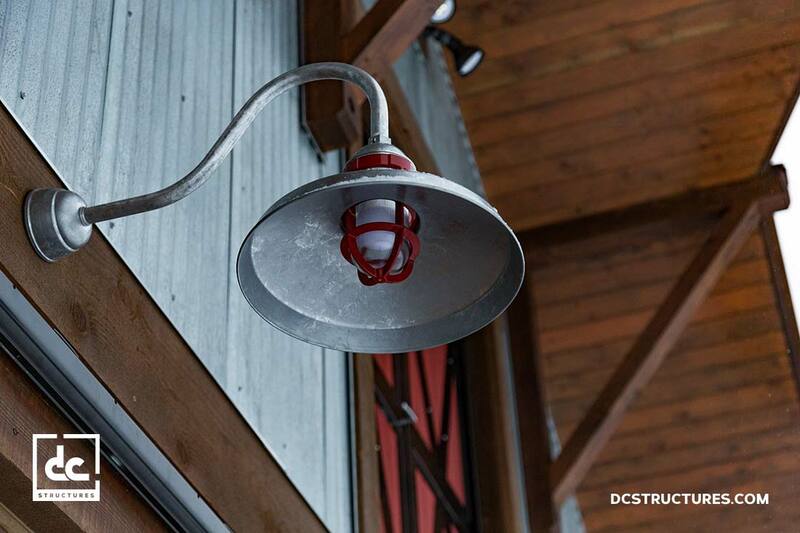 The entire building is topped off by a classic custom cupola the also allows light into the second level.